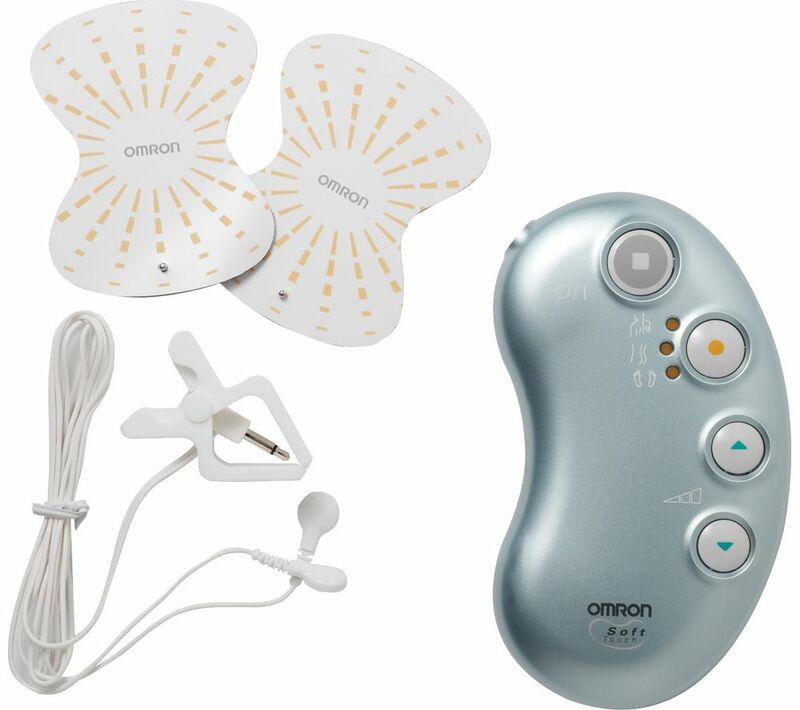 Overview & specs of Omron Soft Touch HV-F158-E TENS Pain Reliever by Currys PC World. Assuage your muscle and joint pain drug-free with the OMRON Soft Touch TENS Pain Reliever.Using electrical nerve stimulation, this Pain Reliever helps block pain by releasing your body's natural painkillers and improving your blood circulation. The Soft Touch TENS features three automatic programs and five intensity levels to help you find the right treatment for your pain. Its small and discreet design lets you carry it anywhere for relief when you need it most. We are comparing prices for Omron Soft Touch HV-F158-E TENS Pain Reliever in new condition sold by Currys Pc World.